2019 is the 150th anniversary of the periodic table, and this visual guide for children shows and explains every chemical element in dazzling detail. This eye-catching encyclopedia takes children on a visual tour of the 118 chemical elements of the periodic table, from argon to zinc. It explores the naturally occurring elements, as well as the man-made ones, and explains their properties and atomic structures. 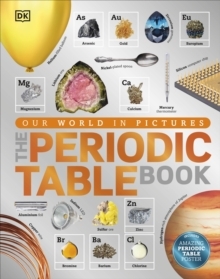 Using more than 1,000 full-colour photographs, The Periodic Table Book shows the many natural forms of each element, as well as a wide range of both everyday and unexpected objects in which it is found, making each element relevant for the child's world.